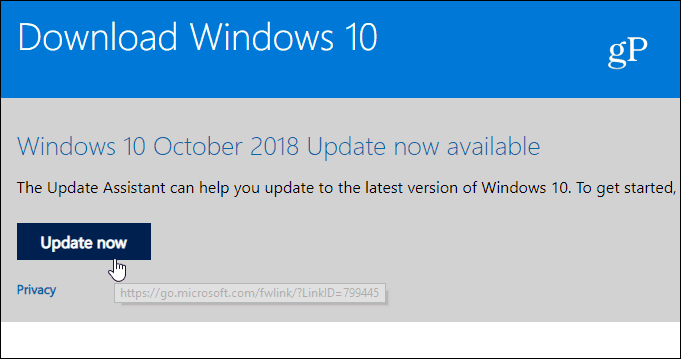 Microsoft released Windows 10 October 2018 Update version 1809 and if you don’t want to get it via Windows Update you can manually install it. Microsoft recently announced that the latest Windows 10 feature update, Windows 10 October 2018 update Version 1809 is now available. In addition to security and performance improvements, this version also includes several new features. There are improvements to the UI including Dark Mode for File Explorer, the new Your Phone app, a new screenshot tool, and a lot more. Just like previous feature updates, this one will roll out over Windows Update in staggered phases depending on the system you’re running it on. But some of you might want to manually install it or do a clean install. Important! At the time of this writing, Microsoft has paused this update. The problem with the update is it is causing some users’ personal files to go missing after the update. If you already downloaded the update, hold off on updating until Microsoft announces the problem is fixed and releases new media. Before doing a major update like this, always make sure to back up your system and have a full backup strategy. Also, review these steps to prep your computer for the update. An easy way to manually install the new feature update is to use Microsoft’s own utility. To get started, head to the Windows 10 Download page and click the Update now button to download the Update Assistant tool. From this point on the process of upgrading is straight-forward. Launch the tool and it will check your system for compatibility and download the update. Note that doing it this way, your current your files, apps, and settings will be kept. It’s also worth mentioning that you can cancel the update by clicking in mind you can cancel the update while it’s running if you have second thoughts while it’s running. If you are an experienced user and want to do a clean install, you can get the Media Creation Tool from the same download page listed above. 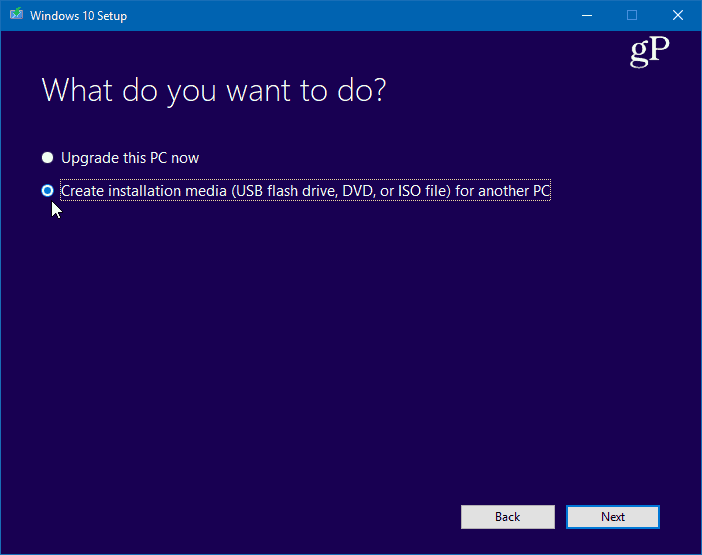 That tool will download a full ISO image of Windows 10 1809 and help you create physical media (USB drive or DVD) for doing a clean install or you can use the image to run it on a virtual machine. On the other hand, you might not want your system to upgrade yet. In fact, we usually recommend that you wait at least a month or until the first couple of cumulative updates are released. Microsoft has the Insider program but when the official version is released to everyone, new bugs and issue crop up. To learn more, check out our article on how to delay or defer Windows 10 1809. That will show you several ways you can avoid the update on Windows 10 Home or Pro from just a few days to up to a full year. 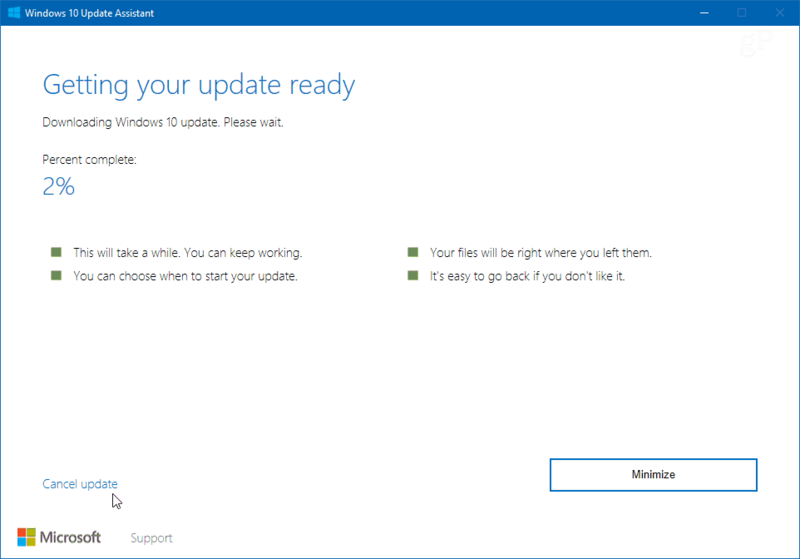 Hold off on updating to 1809 for now. Microsoft pulled it. However, today a “fixed” version is being released to Insiders.